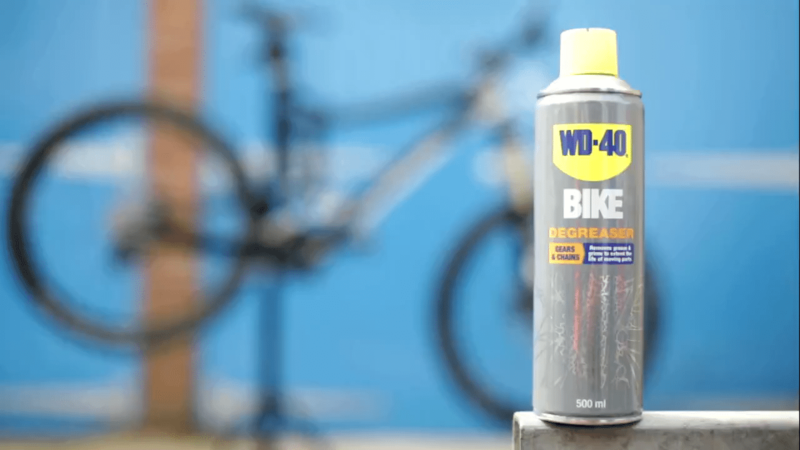 CLEAN YOUR BIKE DERAILLEURS EASILY WITH WD-40 BIKE® DEGREASER! Are your bike derailleurs in need of some tlc? Find help with WD-40; more riding doesn’t necessarily mean more maintenance! Did you know WD-40 Bike Degreaser removes dirt, mud, grease and oil from bicycle derailleurs (as well as other moving parts, such as the chain and cogsets); ensuring smooth running and prolonged life of your beloved bike! Spend less time fixing and cleaning and more time riding! It’s a No brainer. Just follow the video and instructions below! Place your bike on a stand, putting a rag (or tray) under the derailleur to catch any dirty or excess liquid. Spray WD-40 Bike Degreaser liberally onto the derailleur and derailleur jockey wheels (turning the wheel with the pedal). If your bike derailleurs are particularly grubby, you can use a toothbrush or small brush to loosen any stuck or stubborn grime. The liquid will start to soften and solubilise dirt, grease and oil to lift from the derailleur with ease. To finish, spray with clean water, washing away any WD-40 Bike Degreaser. Finally, dry with a clean cloth or towel and go ride! Pssssttt …. cycling fans, did you know we have the awesome Danny Hart as one of our WD-40 Athletes; one of the world’s fastest and technically skilled racers on the planet!? You can learn all about Danny on his dedicated Athlete Profile! Some of the best mountain bikers in the World tell us why they use WD-40 Bike… to make sure their bikes are always in tip top condition for peak performance! Ride more! Check out what they had to say on our Facebook Page!